When will be Moon Lovers: Scarlet Heart Ryeo next episode air date? Is Moon Lovers: Scarlet Heart Ryeo renewed or cancelled? Where to countdown Moon Lovers: Scarlet Heart Ryeo air dates? Is Moon Lovers: Scarlet Heart Ryeo worth watching? Yo's mental and physical health continue to dwindle, and So takes advantage. Yeon Hwa and Queen Hwangbo come up with a new plan for the future of their family. So is pressured to marry Yeon Hwa. Queen Mother Yoo falls ill upon hearing that Jung is being punished. 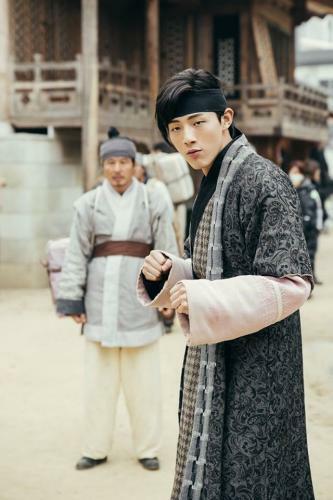 Baek Ah is chosen to lead soldiers in pacifying the slaves of Hubaekje. Jung reveals to So his plan to marry Soo and take her away from the palace. Ha Jin leaves the palace to live with Jung, but her condition worsens. Will she and So reunite before it's too late? Moon Lovers: Scarlet Heart Ryeo next episode air date provides TVMaze for you. EpisoDate.com is your TV show guide to Countdown Moon Lovers: Scarlet Heart Ryeo Episode Air Dates and to stay in touch with Moon Lovers: Scarlet Heart Ryeo next episode Air Date and your others favorite TV Shows. Add the shows you like to a "Watchlist" and let the site take it from there.